What makes a hotel grand? Is it the number of stars? Location? The kind of popularity it gets because it is frequented by celebrities, wealthy people, and common individuals alike? Is it the exclusivity and certain degree of privacy? Well, it could be a combination of these things and then some. But for this list, let us look into the hotel’s number of rooms. After all, many judge a hotel’s success on its capacity to house large contingent of guests without compromising their comfort or the quality of their services. Here are the 10 largest hotels in the world based on the number of guest rooms. Trang Top 10 HQ thống kê ra danh sách 10 khách sạn lớn nhất thế giới. 10. Khách sạn The Excalibur, Mỹ (số phòng: 3981). The Excalibur is one of the grandest hotels in Las Vegas and is considered one of the best in the city. This is already an amazing feat considering that the medieval-themed hotel is just into its 6th year of operation, as it opened in 2008. That said, many hotel reviewers say that the Excalibur may have not yet reached its full potential and certain improvements can definitely increase the hotel’s stock. The 28-storey hotel boasts 3,981 rooms in two towers. The hotel has also several theaters, stores, and restaurants to keep their guests entertained. And since it is Las Vegas, it’s not grand if there is no casino in it. 9. Khách sạn Aria Resort & Casino, Mỹ (số phòng: 4.004). 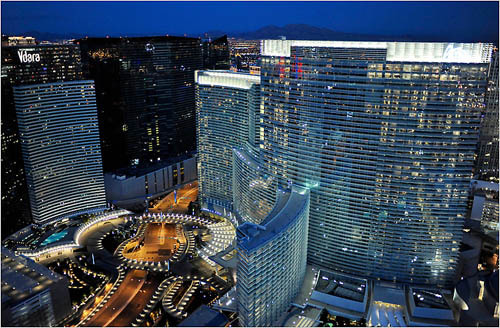 The resort's 61 and 51-story towers contain an American Automobile Association five diamond hotel with 4,004 guest rooms and suites, 16 restaurants, 10 bars and nightclubs, and a casino with 150,000 sq ft (14,000 m2) of gaming space. It also has a 215,000 sq ft (20,000 m2) pool area with 50 cabanas, an 80,000 sq ft (7,400 m2) salon and spa, a 300,000 sq ft (28,000 m2) convention center and a 1,800-seat theater which is hosting Zarkana by Cirque du Soleil. 8. Khách sạn The Venetian, Mỹ (số phòng: 4.049). 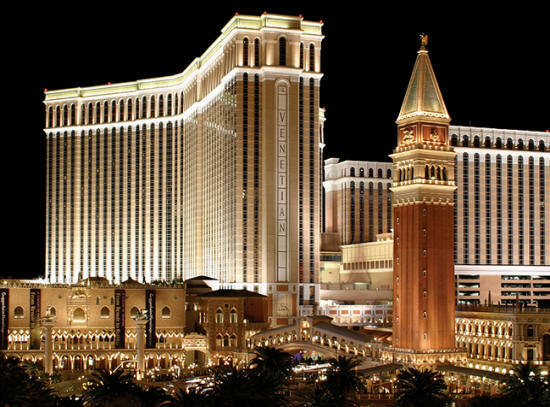 Located just ways down the Excalibur, The Venetian Hotel offers a different theme and atmosphere to its guests. Opening its doors in 1999, this 5-star hotel is among the priciest establishments that offer accommodation in Las Vegas, with the least-priced rooms starting at $163 per night. As the name suggests, the Venetian Hotel takes it form from the city of Venice, complete with a Grand Canal and gondoliers. For those who are looking for typical forms of entertainment and dining, the Venetian flaunts a string of designer label stores and high end restaurants. 7. Khách sạn Ambassador City Jomtien, Thái Lan (số phòng: 4.210). Constructed on a 40-acre property in Pattaya, Thailand, the Ambassador City Hotel takes pride in its 4,210 guest rooms, all divided equally in the 4-wing construct of the building. Each wing has its own theme, adding flavor of variety to the hotel. 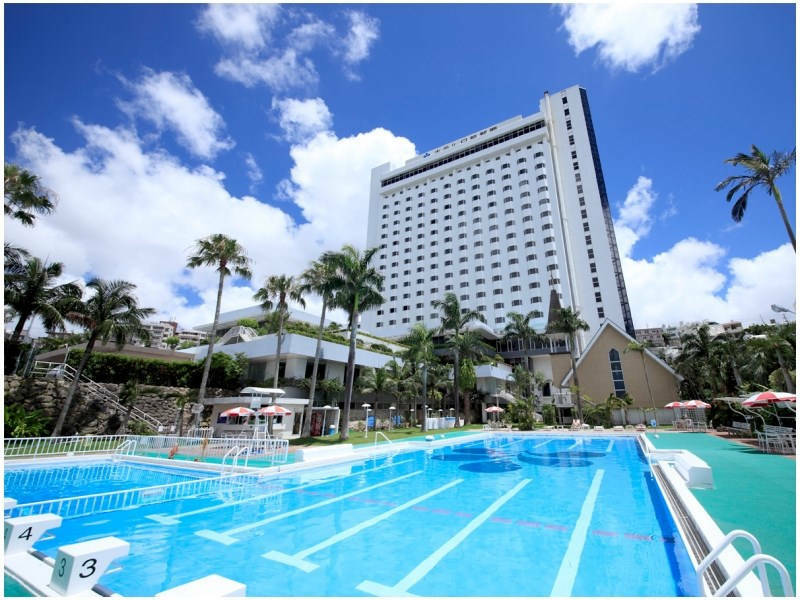 The Ambassador City Hotel is a great getaway option for those who want a taste of the beach, as the hotel offers a great view of the sea, which is just meters away from the estate. One of the oldest hotels in Thailand, the Ambassador City is also one of the most affordable high end establishments in the country, with room rates starting at $38 a night. 6. Khách sạn The Hotel, Mỹ (số phòng: 4.337). 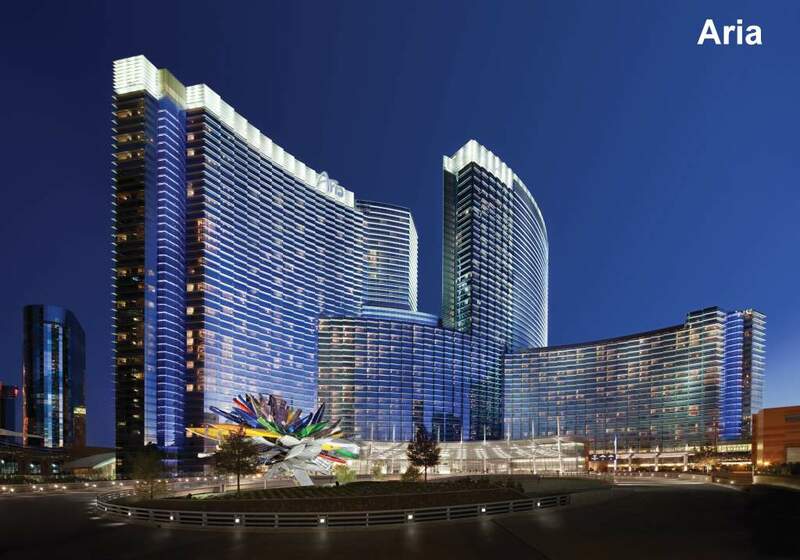 The 43-storey hotel is arguably the heart of Las Vegas, fusing entertainment, shopping, dining, and gambling into one solid package. 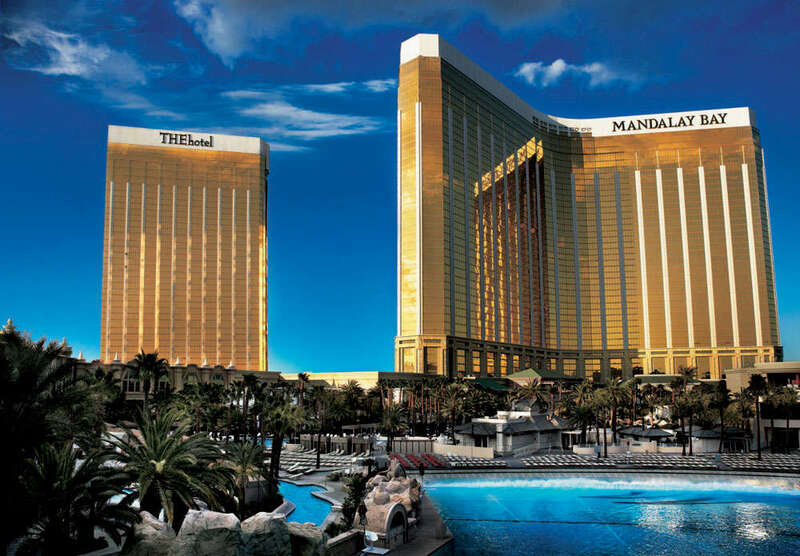 Boasting 4,337 guest rooms, the Mandalay Bay flaunts one of the largest convention centers in the United States, as well as a shopping area, pool, spa, chapel, and extensive casino. Room rates at the Mandalay Bay start at $77 per night, but most people who come here do not intend to be frugal, which is why the more expensive suites get filled up first. 4. Khách sạn Wynn & Encore, Mỹ (số phòng: 4748). Sister hotels Wynn and Encore may be less than 10 years old, with Wynn opening its doors in 2005 and Encore starting its operations in 2008. However, both hotels found significant success especially in the luxury accommodations market. Fronting Mandalay Bay, the Wynn and Encore has a combined total of 4,748 rooms, all of them branded as “Gold List” Suites. Aside from the usual features found in a typical high end Las Vegas hotel, the Wynn has an 18-hole golf course as well as a Ferrari dealership. Staying in either hotel will cost you $120 per night at least. 3. Khách sạn First World, Malaysia (số phòng: 6.118). 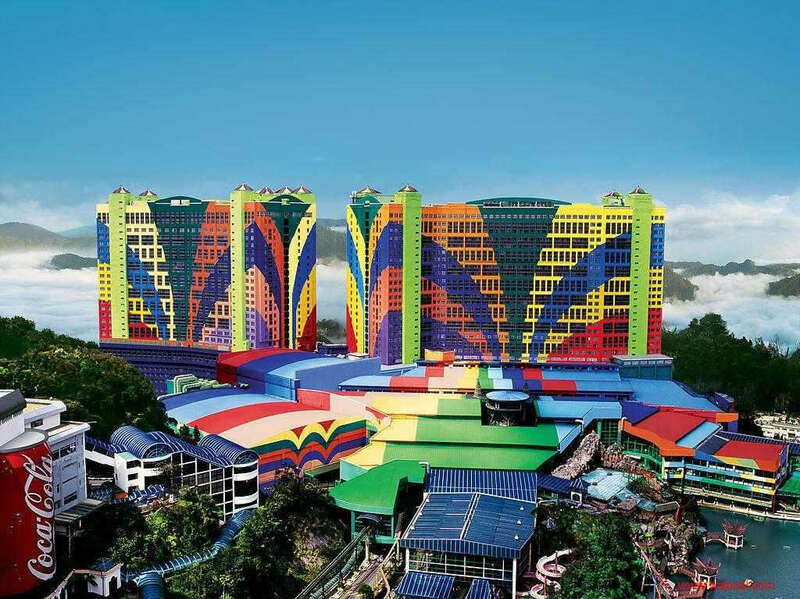 Located in Pahang, Malyasia, the First World Hotel surely looks colorful and fun. It was built within walking distance from the Genting Theme Park and guests can easily troop down to the park and get their share of fun and excitement. The hotel has 6,118 rooms that are fully functional, although several sections of the First World Hotel are still under renovation. 2. Khách sạn MGM Grand Las Vegas, Mỹ (số phòng: 6.772). 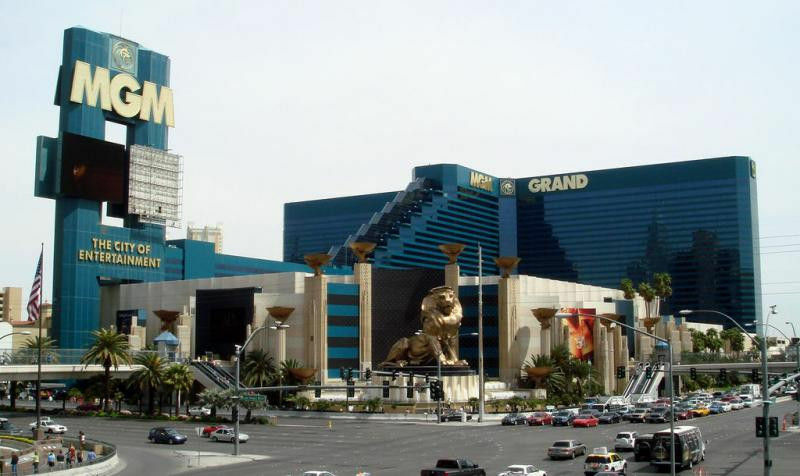 Constructed in 1993, the MGM Grand is made of four towers that boast 30 stories each. All in all, the MGM Grand has a total of 6,772 rooms for its guests. The biggest hotel in Las Vegas, this iconic hotel has been the venue for many performances and events, including memorable boxing matches and concerts. Like any grand Las Vegas hotel, the MGM Grand, together with its sister hotel The Signature, has several shopping centers, restaurants, designer stores, and casinos. 1. Khách sạn Izmailovo, Nga (số phòng: 7.500). The Izmailovo has a total of 7,500 rooms and it may take a while before any hotel can surpass such number. The whole unit is made up of four towers, 30 floors each. Each tower is given a name from the Greek alphabet – Alfa, Beta, Vega, and Gamma-Delta. 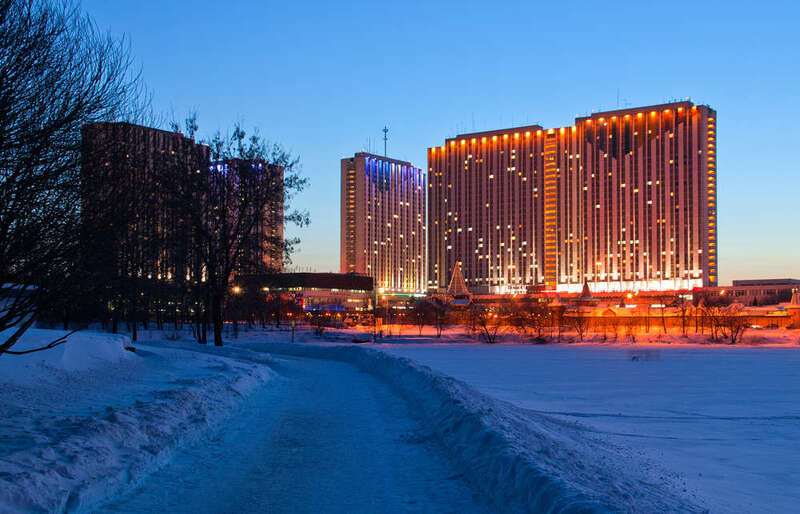 Erected on a former Romanov land, this hotel is where the Olympic athletes were housed during the 1980 Olympiad. Flaunting a three-star rating, the Izmailovo Hotel is also located close to many tourist attractions. Last edited by michu90 on Sat May 28, 2016 1:25 pm, edited 2 times in total.